The Northern Territory Government is working to ensure an efficient, coordinated response to the findings and recommendations of the Royal Commission into the Protection and Detention of Children in the Northern Territory (NT). The Reform Management Office (RMO) has now been established to coordinate the NT Government’s response to the report and implementation of related reforms. The RMO will work across all NT Government agencies as well as non-government service providers and advocacy groups to lead planning and monitoring of the Government’s response to the report. 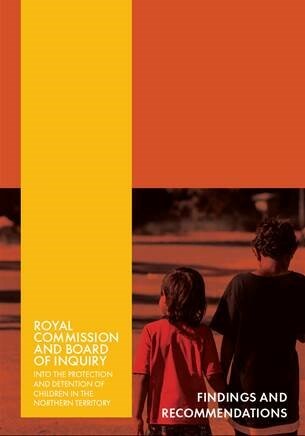 The RMO will ensure all policy changes and projects share information and take the necessary whole of government response to enable genuine and long lasting reform that supports all children and families. The Children and Families Standing Committee, chaired by Territory Families Chief Executive Ken Davies oversee the work of the RMO. The Standing Committee includes the Chief Executives of the Departments of the Chief Minister, Attorney General and Justice, Health, Education, Housing and Community Development, Treasury and Finance, and NT Police, Fire and Emergency Services. The Standing Committee ensures the Reform Management Office has a mandate to work across all agencies and publicly funded programs with a voice at the highest levels of the public sector. The NT Government began a program of significant reforms before the Royal Commission report was released. These reforms include the creation of a Youth Outreach and Reengagement Team and the remodelling of detention facilities with new programs and infrastructure. Government will now work interagency in conjunction with the Commonwealth and in partnership with the non-government sector and Aboriginal peak organisations to inform the Royal Commission response.